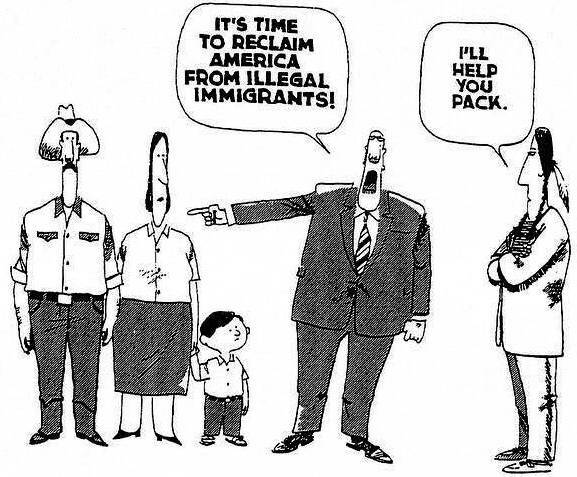 I suppose referring to illegal immigrants, undocumented, voting. Is this true? Snopes: Zero evidence has been put forth to support the widely parroted claim that 3 million "illegal aliens" voted in the 2016 presidential election. Here are quotes from those articles. Trump could be referencing a series of fake stories on conspiracy websites that said he actually beat Clinton in the popular vote count. Trump's transition team did not return requests for comment Sunday afternoon. On a call with reporters on Monday, Trump’s transition team could not provide any credible evidence for his lie, citing only a debunked blog post and a Pew study that did not contain any proof of undocumented immigrants voting. There is no evidence that non-citizens have voted in recent U.S. elections. The authors were essentially basing their claims on two pieces of data associated with the large survey—a question that asks people whether they are citizens and official vote records to which each respondent has been matched to determine whether he or she had voted. Both these pieces of information include some small amounts of measurement error, as is true of all survey questions. What the authors failed to consider is that measurement error was entirely responsible for their results. Richman and his colleagues saw the very small number of people who answered that they were “immigrant non-citizens,” and extrapolated that (inaccurate) number to the U.S. population as a whole. Officials in those states insisted Monday that Trump’s claim of millions of illegal votes, including ones allegedly cast by illegal immigrants, is unfounded. That peer-reviewed article comes from a team of researchers that includes Stephen Ansolabehere, who developed the CCES. He and two colleagues wrote at the Monkey Cage that Richman and Earnest's findings were based on "measurement error." He also pointed to a 2012 study from the Pew Charitable Trusts. The numbers he cites are in fact correct: That study showed that 24 million voter registrations at the time were "no longer valid" or were "significantly inaccurate," and that nearly 2.8 million Americans were registered in more than one state. That's a sign that states' voter registration databases could use some extra upkeep but it's not itself evidence of fraud, as Miller said it was. However, the Trump campaign has yet to provide evidence that widespread fraud — involving "millions of voters" — in fact swayed the results of the presidential election, as the president-elect said it did. The next day, the Pew study's primary author, David Becker, tweeted in response to references to his research: "As primary author of the report the Trump camp cited today, I can confirm the report made no findings re: voter fraud. We found millions of out of date registration records due to people moving or dying, but found no evidence that voter fraud resulted. Voter lists are much more accurate now than when we issued that study in 2012, thanks to the 20 states sharing data through @ericstates_info." Trump does actually cite two studies - Do non-citizens vote in U.S. elections? - and Inaccurate, Costly, and Inefficient. The example for this analysis is Richman et al. (2014), which presents a biased estimate of the rate at which non-citizens voted in recent elections. The results, we show, are completely accounted for by very low frequency measurement error; further, the likely percent of non-citizen voters in recent US elections is 0. According to the author of the second study that Trump cites, it doesn't say that millions voted illegally. No. Those claims were never supported by any evidence. If there was any evidence of millions of "illegal votes", presumably, against Trump, his campaign would have surely requested a recount and/or filed a lawsuit to challenge the results in those states. “We have heard claims like this in the past, relative to our elections, but we have been provided no evidence that suggests that there is voter fraud on a widespread scale in New Hampshire,” David Scanlan, New Hampshire’s deputy secretary of state, told POLITICO in a phone interview Monday. I think it's a well established practice for the accuser to prove the accused guilty, not for the accused to prove innocent. Since no proof has been presented, the premise should be rejected.